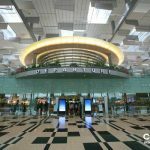 Singapore Changi Airport Voted World´s Best Airport 2015! 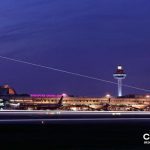 Congratulations Singapore Changi Airport! 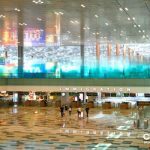 Skytrax recently revealed the 100 Best Airports in the World where Singapore Changi Airport snagged the first place for the third consecutive year, followed by Seoul Incheon and Munich. Terminal 3 at Singapore Changi Airport. Even though more than 54,000,000 passengers (arriving & departing) pass through the airport yearly it never feels crowded or stressful. It is actually an airport you can relax and kick back in, if you like. As everything else in Singapore it is extremely clean and tidy. The shopping is great. You will find everything from the standard offerings of alcohol, tobacco and candy to luxury items and technology, usually at good prices. Remember, you are in Asia and there is nothing wrong in asking if there are any discounts. The choice of food is amazing and I can reassure you that you will not leave Changi Airport hungry. You will find all types of food, from local cuisine to Thai, Sushi, traditional Chinese, Penang Hawker Food, Coffee Shops (not the Dutch kind), Ramen, Seafood, Soups, Swensens fast food and much more! There is actually a butterfly garden with more than 1000 butterflies (47 different species) in the airport. Did you know that there is a sunflower garden in Terminal 2 as well? There is a movie theatre in the airport in case you want a dose of silver screen adventures while waiting for your next flight. You will find it in Terminal 2 departure transit lounge. In Terminal 2 there is also an Entertainment Deck with games on Xbox and Playstation. The Experience Zone offers sports on huge screens for the sport lovers. Go for a massage or a fish spa in Terminal 1 to get pampered. If you are not ready for the spa but still want a massage, use one of the massage chairs. Document your trip at The Social Tree. Simply step in to the photo booth, take a picture and you will be able to retrieve it every time you visit in the future. In Terminal 3 there is a Snooze Lounge, designed for a nap or relaxing. There are great lounges at Changi Airport. Some of the lounges offer paid visits and not dependant on your class of service or a frequent flier card. Speak to your travel agent to learn more.The lounges are state of the art! If you want a proper hotel room to relax in, you can always visit The Ambassador Transit Hotel without clearing immigration. Another shot of Changi Airport runway. Arrival and Immigration at Terminal 3 at Changi Airport. 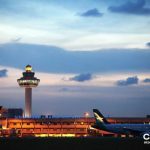 Singapore Changi airport serves more than 102 airlines with services to 302 cities in 79 countries so you will most likely have several opportunities to visit this great airport! Naturally Singapore Airlines is one of the biggest airlines at Changi Airport. If you are curious about this tropical island called Singapore, you might want to check out these articles about Singapore. 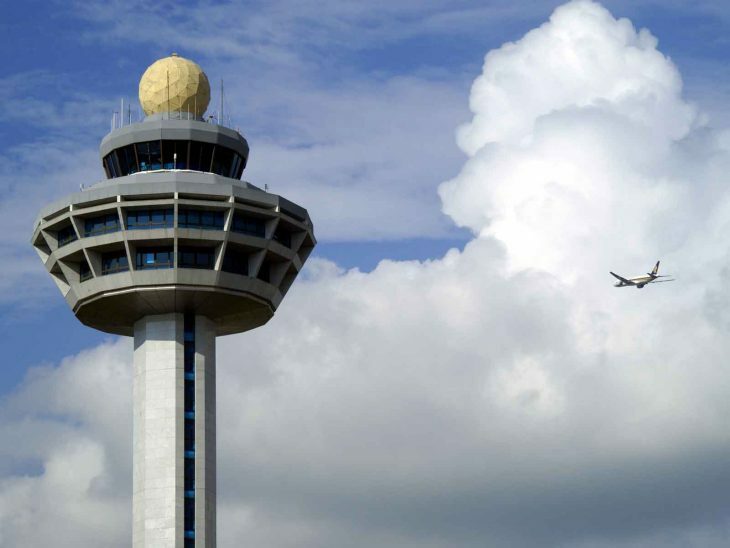 The World’s Best Airports 2015 can be found on worldairportawards.com. Have I missed out on mentioning something great and useful at Changi Airport? Think another airport should have been voted best airport in the world? Please share your thoughts via email, in the comments below, on Twitter, Facebook or Google+.